The penetration of in-house agencies has increased by 52% in the past decade, according to a study conducted by the In-House Agency Forum and Forrester. The size of in-house agency teams is growing, per the study, which notes 55% of companies with an internal agency added headcount over the past two years, with half employing corporate creative teams of 25 employees or more. A decade ago, a similar study found that the top two benefits of the in-house model were cost efficiencies and quicker turnarounds. The current study found that brand and business acumen now ranked as the top benefits followed by cost efficiencies and time savings, an indication that strategic effectiveness is a growing priority for in-house shops. But as with agencies overall, talent recruitment is seen as a key challenge for in-house shops as well as digital know-how. Also, despite overall headcount growth about two-thirds of in-house agencies indicated that they are not adequately staffed to meet growing business demands. The study indicates that most in-house agencies are addressing those shortfalls at least in part by outsourcing some work. The full report, In-House Agencies Today, is available for IHAF members to download. 1 comment about "The Rapid Rise Of In-House Agencies". Emily Foster from IHAF, August 28, 2018 at 3:27 p.m. 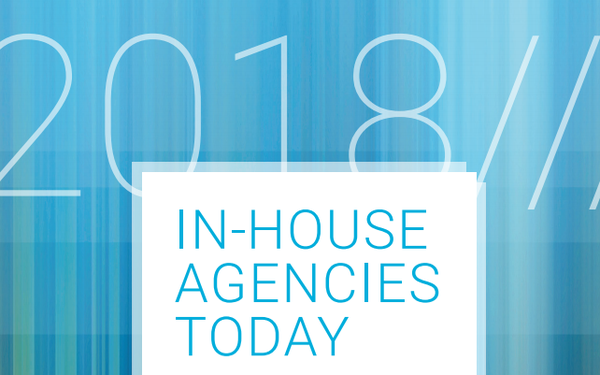 This article is based on IHAF's 2018 State-of-the-Industry Report, In-House Agencies Today, which details the functional competencies, service offerings, project composition and operating practices of today's internal agencies—with additional perspective from external agencies and client-side marketers. For more, go to: https://www.ihaforum.org/in-house-agencies-today.